« ”I will do everything that is required”. Obama on Iran. Freedom or the Deluge and The Liberation of Man. Interesting book titles coming from a member of presumably the most conservative ideological tendency and of one of the most conservative social layers within one of the most conservative regions of the world, the Arab Gulf monarchies. Hakim al-Mutayri is a member of the Mutayr tribe, one of the largest Bedouin tribes in Kuwait. He is educated in Islamic studies in Kuwait, Mecca and Fez, with a doctorate in Sharia Law from the prestigious Qarawiyyin university in the latter city. He also has a doctorate in philosophy from the University of Birmingham. 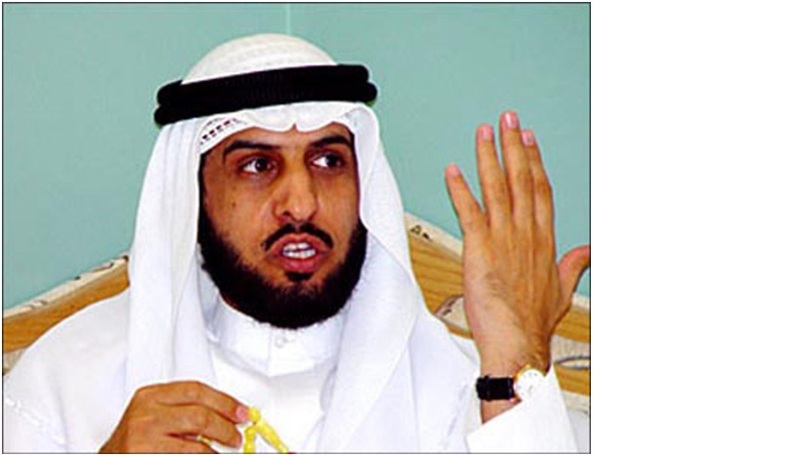 He is a long-time member of the Salafi Movement in Kuwait and one of the founders of Kuwait’s only formal political party, the Hizb al-Umma (Party of the Nation). In his books Mutayri radically reconsiders Islamic orthodoxy as it relates to the preferred political system. He emphatically states that Islam properly understood has human freedom as its basic premise, and that in political terms this translates to the right of people to freely exchange ideas and not least to freely choose, and if need dismiss, political leaders. He boldly diagnoses the root of the Muslim problem with democracy to lie in the fact that the classical literature of interpretation of the holy sources were written at a time when despotism and hereditary rule had taken the place of the rule of the Prophet and his immediate successors where, according to Mutayri, rule was based on consultation of the people. The religious scholars writing from the ninth century onwards felt bound to legitimise the military rulers of their time, he states, and cannot be taken as guidance today. He also digs deeper in claiming that the promotion of the idea of divine determination of events where human action and free will is reduced to insignificance is linked to this same agenda of securing the rule of those in power, and has done immense harm to the Muslim world. Kuwait is special in that it has a salafi movement that engages in political work. What is a salafi? It is common understanding that the salafis are a particularly conservative brand of Islamists. Rather than seeking a way for the Muslim world to advance while staying true to the faith, the salafis concern themselves primarily with trying to replicate in detail the way of life at the Prophet’s time, and guarding against any deviation from the literally understood teachings of the Koran and the Hadith, the reports on the sayings and doings of the Prophet. Salafis generally consider politics a business to be left to those in power. So the Kuwaiti salafis are deviating by the mere act of entering politics. But Mutayri from the depth of the salafi heartland produces an ideology seemingly at sharp odds with what most of us thought contemporary salaifsm was all about. Westerners are often prejudiced against Arabs in general and more specifically against those who take their religion seriously, as the recent trouble over minarets in Switzerland amply demonstrates. Muslims are seen by some as representing an alien religion that threatens to bring us back to the Middle Ages. In Muslim countries like Egypt, Morocco and Lebanon there is even among the Islamists a heavy prejudice against anything coming from places like Kuwait and Saudi Arabia. The Gulf Arabs are considered backward, uneducated and steeped in the traditions of the Bedouin, making their understanding of religion far more conservative even that the one being preached by movements like the Muslim Brothers in Egypt. At the same time the Gulf people are considered to be somewhat corrupted by the high level of income and the fact of being secured high standards of living without having to work, the actual work being done by other Arabs and by armies of Bangladeshis, Pakistanis, Indians and Filipinos. Arriving then in for instance Kuwait and talking to people one discovers yet another level of prejudice. For among the whole spectrum of political opinion from liberal to Islamist all are warning against the reactionary effect of the growing role of the Bedouin part of the population with their backward ideas and tribal customs. The Bedouin only recently got political rights, and now the urban people of Kuwait city feel their position undermined by the uncultured Bedouin who produce more children, children who are now getting educated and elected to Parliament. And there they join the growing number of salafis. Even among the salafis themselves the urban warn against the Bedouin. A surprise then to find that precisely among the Bedouin salafis one encounters one of the more innovative thinkers within the international Islamist movement, and, in the Kuwaiti context, the ideologue that most boldly challenges the birth right of the royal Sabah family to control the affairs of the country.